TensorFlow 1.0 has been released! Just a week back I posted about the announcement of TensorFlow 1.0 and the new features coming. Now, it's finally here. 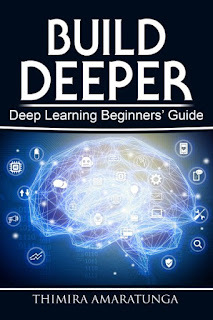 It was released at the first TensorFlow Dev Summit held yesterday (15th Feb) at Mountain View, California. The official TensorFlow website is now updated for the 1.0 release, which also now has a section for TensorFlow Fold which allows to work with input data of different shapes and sizes, and which has now been made open-source. 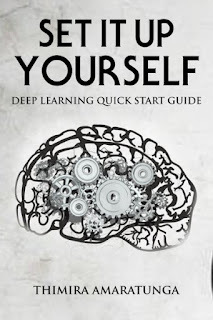 The installation instructions have also been updated for the latest version, and they have added a guide on how to upgrade your application to TensorFlow 1.0. The release notes for 1.0 suggests that all the anticipated features are here: The XLA compiler, Debugger, The Java API, Mobile support improvements, and much more. There's also news reports coming in which states that more machine learning models, such as SVMs, will come to TensorFlow. 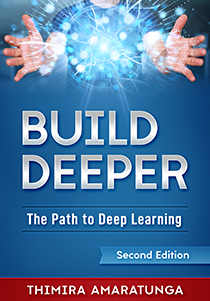 Better support for Keras is also hinted. I'm eagerly waiting for Keras to upgrade to support new features in TensorFlow 1.0. When using the Scikit-learn library and trying out various examples found over the web, have you come across a DeprecationWarning for the cross_validation module? ferent from that of this module. This module will be removed in 0.20. 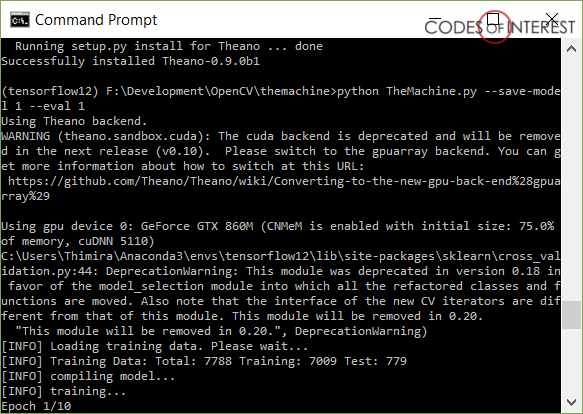 TensorFlow, with its r0.12 version gave the (much awaited) compatibility to Windows (check How to setup TensorFlow on Windows), and an Experimental API for the GO language. Now, they have announced the first major version - version r1.0 - of TensorFlow, with several exciting features. While Python would still be the primary API - and would be the most complete API for TensorFlow - version r1.0 will introduce a new, experimental Java API. While it could be far from complete, and may take a few releases to stabilize, having the Java API may open TensorFlow to new possibilities. Also note that in the current release candidates of r1.0, you will need to compile TensorFlow from source in order to get the Java interface (instructions from TensorFlow GitHub page), and it's still only available for Linux and Mac OS. TensorFlow, since it has been released just over an year ago, has gained a huge popularity with its capabilities. But the platforms it worked on was limited - there were only pre-packaged Python packages for Linux initially, while it gained a Mac OS compatible version along the way. Windows users were left wondering when (or if) there will be a Windows version of TensorFlow. There has been few unofficial builds for Windows, and some have attempted to build from source for Windows with various degrees of success. But, there was nothing official. Now, I'm happy to learn that TensorFlow now officially supports Windows. The release notes suggests that Windows compatibility was present from TensorFlow v0.12.0 RC0, and it has been tested on Windows 7, Windows 10, and Windows Server 2016. It only supports 64-Bit Python 3.5. Both the standard Python distribution (from Python.org) and Anaconda Python are supported. This was great news for me, since I was switching between Linux and Windows for my machine learning experiments. 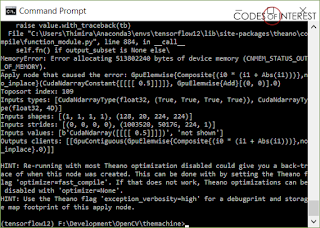 So, I gave a try to setup TensorFlow on Windows. 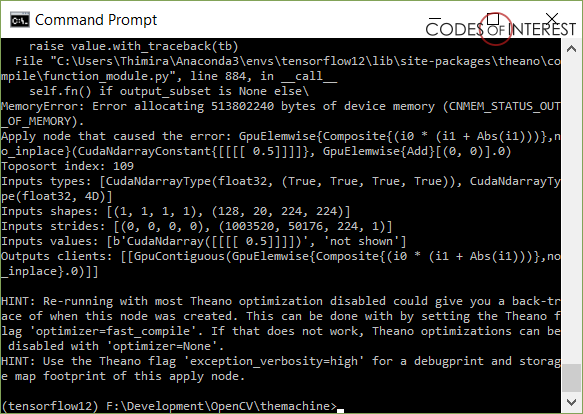 I've been using Anaconda Python for most of my experiments, so I created an Anaconda environment - named 'tensorflow' - with all the basic packages I need. Now for the big step, installing TensorFlow from pip.